We frequently get owners asking questions about the risks of getting Salmonella from their chickens and eggs. So what exactly is Salmonella? Salmonella is a bacteria which can infect both animals and man. 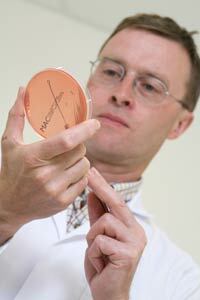 There are several species of Salmonella, each species has it’s own type of animal that it prefers to infect e.g. Salmonella Dublin prefers to live in cattle. Whilst most Salmonella species prefer to infect a particular type of animal they can usually also infect other animal species and humans. 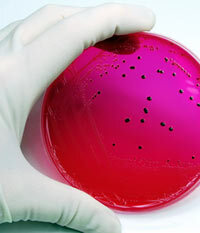 Not all Salmonella species cause illness and not all Salmonella species which cause disease in one species will go on to cause disease in other species. E.g. Salmonella Enteritidis prefers to infect chickens it does not normally cause the chickens many problems but this species can occasionally infect people. Salmonella can cause vomiting and diarrhoea in people and in extreme cases cause blood poisoning. In animals it can cause diarrhoea and blood poisoning. Yes it is indeed possible for Salmonella to cause disease in chickens; however this is extremely rare. There are two main species involved: S. Pullorum and S. Galliarum. S. Pullorum can cause blood poisoning, diarrhoea and sudden death in young chicks under three weeks. S. Gallinarum can cause sudden death, diarrhoea and difficulty breathing. Whilst it is not particularly common Salmonella can cause illness in people especially if they are vulnerable people with immunosuppressed diseases and pregnant women.There are two species which chickens can carry that can cause illness in people S. Enteritidis and S. Typhimurium. These species don’t cause illness in chickens but can in extreme cases infect people. In the 80’s Edwina Curry caused a storm by claiming that most UK eggs had Salmonella. This caused a plummet in egg sales and subsequently the egg industry began to routinely test all egg and meat producing chickens regularly. Most laying flocks are now vaccinated for these strains of Salmonella. We would always recommend that owners pay special attention to keeping the hen’s nest boxes really clean. If you find your eggs are covered in dirt and dried faeces do not be tempted to wash them. Shells are porous and any bacteria on the outside will be transferred inside the shell. Just dry wipe with a piece of kitchen towel and ensure all dirty eggs are cooked well. Most people contract the bacteria from not washing their hands properly after handling their birds or after handling raw meat. They then put their fingers in their mouth and ingest the bacteria. Rodents and wild birds are potential carriers so ensure you control rats with bait stations and keep feed in secure containers. A lot of people don’t consider rodent control but it is an important aspect of chicken keeping. Rats also carry other diseases that humans can catch, the most common one being Weils Disease. This can be spread through infected rat urine coming into contact with chicken food or water drinkers. The use of products such as Beryl’s Friendly Bacteria are especially indicated if you are concerned about Salmonella. These sachets contain over 200 friendly bacteria, these friendly bacteria compete for space in the gut with the harmful Salmonella bacteria. This colony of friendly bacteria then makes it much harder for the birds’ digestive system to become infected as it prevents the establishment of these pathogens in the bird’s gut. Always follow a routine cleaning regime and use disinfectants that are licensed and approved to destroy bacteria and viruses. If you are raising a few chicks at home there is no real need to vaccinate your hens. The vaccination process isn’t straight forward and provided you have healthy birds and follow the basic rules of hygiene you should be fine. You can certainly test your birds for Salmonella with a faecal sample. If you are interested in carrying out such a test then contact Chicken Vet for more information.